After covering The Players in Jacksonville, I took a little road trip north to Charlotte for the Wells Fargo Championship. It was the perfect opportunity to stop off en route at Kiawah Island – a venue that has been on my bucket list for some time. Inspired by Rickie Fowler’s spectacular finish at TPC Sawgrass, I was ready to shoot some birdies. 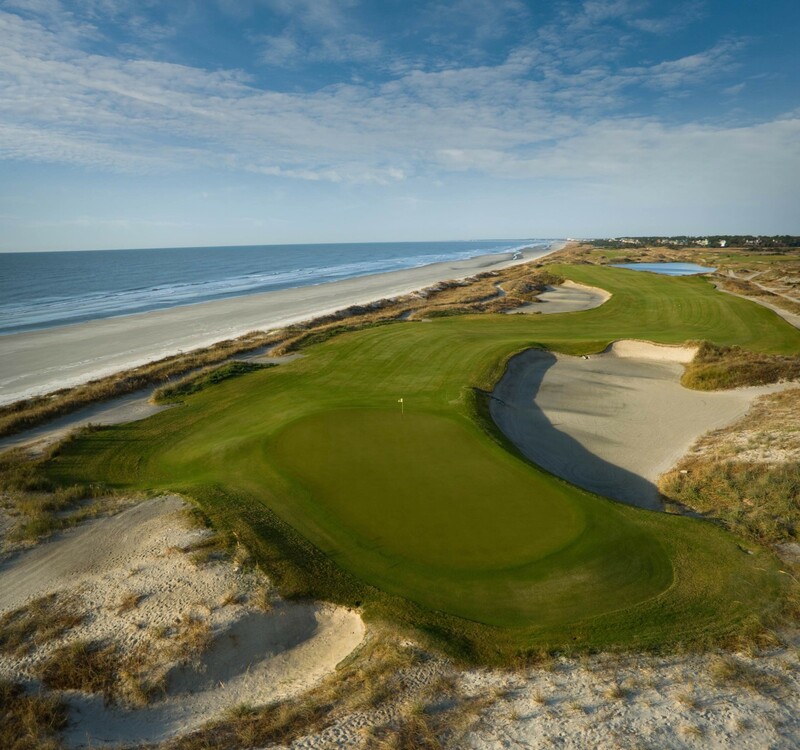 Originally designed to sit behind the dunes, which line the Atlantic shore of Kiawah Island, the Ocean Course became what it is today when architect Pete Dye’s wife suggested he raise the layout to allow better views of the ocean. The elevation change brought ocean breezes into play, and the stage was set for the famous ‘War on the Shore’ Ryder Cup when the course opened in 1991. With ten holes right next to the Atlantic and eight running parallel to those, the fact that the wind has no prevailing direction can make as much as an eight-club difference. It’s without doubt one of the best courses in the world. Dye took a Carolina seascape already blessed by nature and used some subtle touches to great effect. No golf course in the world has ever improved on its natural surroundings, but this one comes closer than most. Dye accomplished this by allowing the location’s natural beauty to remain in its simplest state. There’s no fancy bunkering, but there is plenty of sand in the form of waste areas. It’s novel to be able to take practice swings and ground your club in the sand, and I loved this aspect of the course. There are some typical Dye nuances, which become very obvious when you tackle the course, and the biggest one is its difficulty – Dye loves to penalise bad golf and it’s easy to see why the Ocean Course has been rated among the toughest tracks in America. Kiawah Island Golf Resort is home to five championship courses: The Ocean, Turtle Point, Osprey Point, Oak Point and Cougar Point, designed by Dye, Jack Nicklaus, Tom Fazio, Clyde Johnston and Gary Player, respectively. 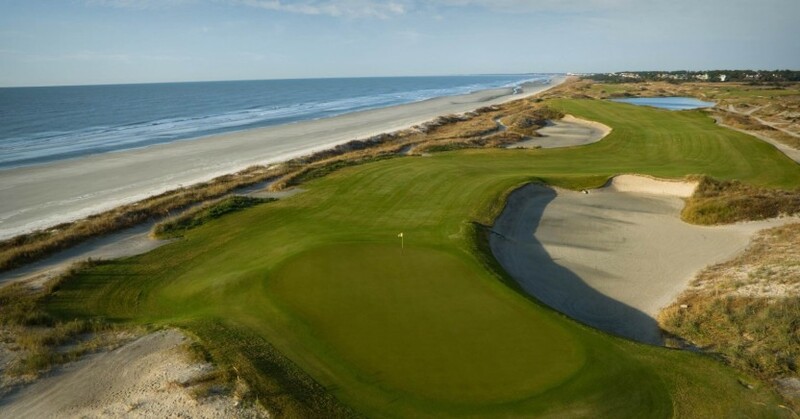 The Ocean’s credentials are impressive; the 1991 Ryder Cup put Kiawah on the map, as did Rory McIlroy’s eight-shot victory at the 2012 PGA Championship. And there’s been more good news recently, after it was announced a few weeks ago that Kiawah is to host the season’s final Major again in 2021. The course is simply breathtaking from start to finish. Despite its relative flatness, each hole presents a fairway and/or green closed off from the rest of property by marshland, waste bunkers or water. Each tee, fairway and green is in some way an island of its own. Fairways sit at an angle from the tee, and the elevated greens are slick and pure. The second hole epitomises the course’s beauty and brutality. A testing, picturesque, 540-yard, par-five, littered with difficulty. A right-to-left tee shot is required to match the curve of the fairway around a waste bunker that focuses your eye from the tee. It’s a stunning and demanding hole that acts as a harsh introduction to the challenge ahead. The final five holes are, of course, what will make and break your score at Kiawah. Meandering along the coast, and typically into the wind, they provide one of the toughest closing stretches in the game, highlighted by the infamous par-three 17th. Similar to the 17th at Sawgrass, it requires a shot over water. However, at Sawgrass the distance is only 140 yards, and plays to a large putting surface. The 17th at the Ocean Course can stretch to 240 yards, and the green is angled from front left to back right. Playing the penultimate hole brought back some great Ryder Cup memories, but the less famous 14th may actually be my favourite par three on the course. The Ocean is a tough layout to start with, made infinitely more difficult when the wind blows. I love Pete Dye courses, they make you think, and aesthetically Kiawah is breathtaking. Dye has tinkered with the course since its original design, making it easier for the average player. I think it’s very playable nowadays, and there are plenty of tee boxes to choose from, depending on your confidence levels. Visitors can choose to stay on the island in the sumptuous Sanctuary Hotel and have virtually the entire island at your disposal, either by foot, bicycle or car. There are 26 miles of bike trails to discover, but remember to watch for the alligators on your travels – Kiawah has more alligators per square foot than the Everglades. There’s one other great thing about Kiawah, and that’s its proximity to Charleston, my new favourite city in America. Good old Southern hospitality and gastronomic delights don’t come much better than here in South Carolina’s oldest city. There are so many reasons to visit this wonderful part of the United States.